Ever had one of those annoying SPAM emails that tells you to forward it to ten people otherwise your luck, love life and finances will suffer irreparably? I seem to receive them daily and it got me thinking about the whole veiled threat of what happens if you don’t send one on. This led to the premise of STOP ME. What if somebody were to die if you didn’t forward the email? Leo Sharpe, the main character of STOP ME receives such an email and when he doesn’t forward it, his wife, Laura, vanishes on a shopping trip in their home city of London. Unsure of whether she is a victim of the global email menace, The Vacation Killer, Leo strikes up an online friendship with John Bookwalter. He claims not only to be the Vacation Killer but also to be holding Laura captive. This is unlikely as Bookwalter lives in New Orleans and has been dismissed by police as a crank. But a relationship rapidly develops, as Bookwalter is the only man who still talks about Laura in terms of her still being alive. Leo must decide whether there is an ounce of truth in anything Bookwalter says and if he should make face-to-face contact. There are some devious turns and twists and Leo’s journey eventually leads him to some shocking truths about what happened to Laura. 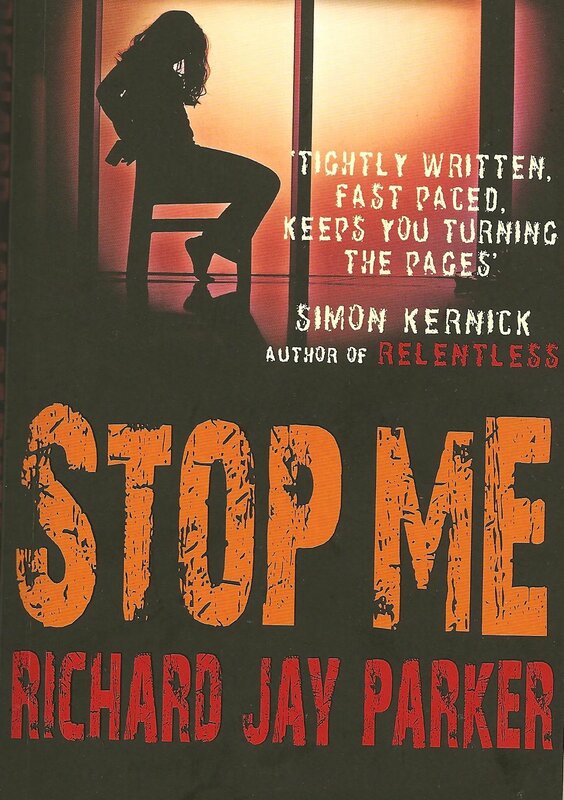 STOP ME was published as a trade paperback last year and as a mass-market paperback this year. It has made an impact on high street book charts and I’ve been receiving a lot of feedback about the story and reader reaction to the subject matter. As a debut novelist, it’s great to have so many positive reviews online and the last year has been quite a learning experience in terms of gauging what people expect from a thriller. When I sat down to write STOP ME it was always my intention of taking the traditions of the thriller genre and trying to find some unexpected pathways within them. Interestingly, a lot of people assume from the cover and the subject matter that it’s going to be a gory cop/serial killer story and that’s where the fun starts. 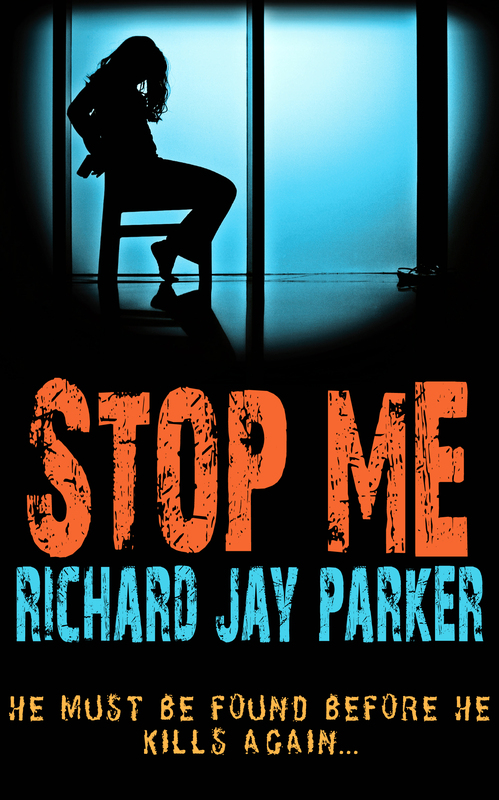 STOP ME is more about suspense, intrigue and dark humour and although there is violence, much of it is implied rather than being protracted and lewd. But it’s the moody cover that hooks people and like Bookwalter, once you’re engaged, (I hope) it’s difficult not to be sucked in. 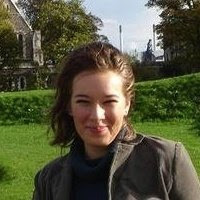 Readers want different things from a book, even something as genre specific. But a thriller can be anything from an Agatha Christie to a visceral Thomas Harris. Quite an umbrella. I was recently on a UK panel at Crimefest that tried to discern what the definition of a thriller was and what constituted a crime novel. Needless to say, there were no definitive answers. They both cross each other’s territory. My own simple definition of a thriller is a book that sends shivers down your spine using character and situations that are grounded in reality. I’ll leave the supernatural thriller subcategory for another discussion. But even if you can categorise it’s still inevitably subjective. Some readers are looking for a character they can get to know inside out, others want a rattling plot that makes them quickly slam the pages. 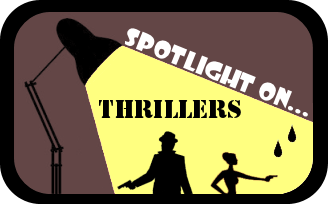 Striking a balance between the two in terms of writing an engaging thriller is the real challenge. Character, hook, pace, intrigue, twist. Juggle all five and still surprise the reader by injecting some originality. Thrillers are often accused of being pulpy, trashy and facile (as is every other category of contemporary fiction) but you know when a really good one arrives because its category becomes unimportant. I’m going to keep working on it. 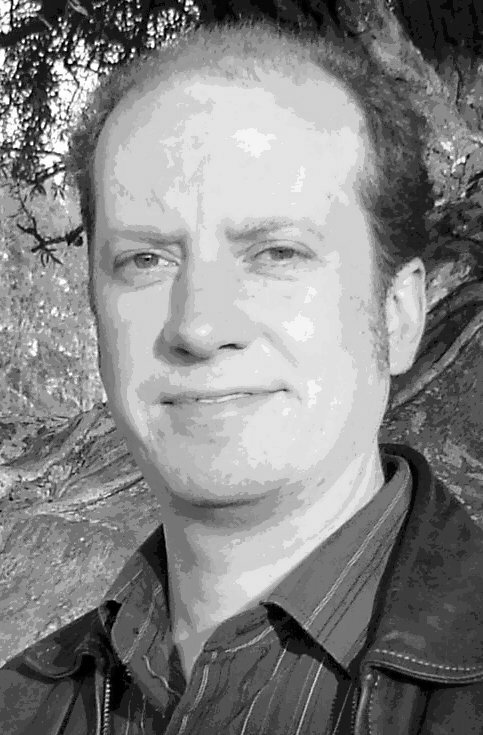 I would definitely recommend you check out this fantastic interview with Richard, who was interviewed by one of the characters in STOP ME. You can watch the trailer of STOP ME here. The publisher of STOP ME Allison & Busby has kindly offered up 1 copy to a lucky EUROPEAN commenter, and I would like to offer up my review copy for 1 INTERNATIONAL commenter.